That certain something…has your guitar got it? I took delivery recently of an Ibanez semi, made in China with RRP £699, which sits well with two other guitars I have in this price range; an Epiphone Les Paul Lee Malia Signature Custom, Far East made, and a USA Gibson Midtown Custom. This has given me a great opportunity to compare three ‘mid-price’ guitars. So, which is best? To answer that question I can use looks, sound, build quality and playability or all four. Now, I do like a nice bit of wood and all three are good looking guitars – no matt black for me thank you very much. The Ibanez is a classic small semi with a gorgeous figured bubinga top, back and sides and looks great all over, with bound sound holes and neck and nice inlays. The Epiphone has a great mahogany finish and the neck and headstock have the Classic “Artisan” floral pattern pearloid inlays – you can see a pattern emerging here…The Gibson Midtown is a solid semi (hollowed out solid mahogany with maple cap) in classic vintage sunburst which looks great. The winner here? A tie. All three have quality pickups – the Ibanez has Super 58 humbuckers with Tri-sound; the Epiphone has Gibson USA pickups – P-94 Single Coil at the neck and a 84T-LM Humbucker with coil split at the bridge and the Midtown has classic Gibson BurstBuckers. All three offer great sounds through my Egnater Rebel 30 amp in both the clean and gain channels. The Ibanez and Epiphone offer a greater range of sounds using the coil split, tri-sound and P-94 combinations, than the classic Gibson humbuckers. All have sparkling clean sounds, warm neck pickup sounds and a bit of grunt at the bridge position, although the Gibson probably shades it on the crunch front. Overall I love the range of tones from the Ibanez. The build quality of the Gibson is a little disappointing: the headstock inlay is slightly raised, some of the binding around the body has been sloppily cut and finished and the sound hole cuts are a bit rough. I also had some tuning problems due to the nut which took a while to sort out, so we’ll give it 6/10. 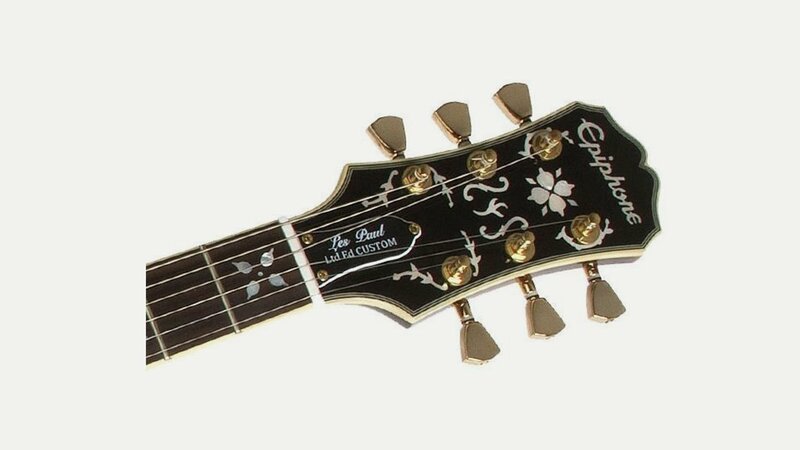 The Epiphone is well made with crisp binding and very tidy inlays together with a well applied coating. The only niggle is that the jack socket needs tightening regularly and the tone control knobs are not a perfect shape, so 8/10. The Ibanez on the other hand is flawless. Very careful inspection only picked up a tiny flaw on the headstock finish so this guitar gets 9.5/10. All three are great to play and I could happily live with any of them as my only guitar. The necks on all three suit my hands and playing style and all three are well balanced when sitting or standing. The neck on the Gibson can feel a little flappy but is very easy to play and fits my hand well. On the other hand the necks of the Epi and Ibanez feel solid, but all three have well finished frets and neck bindings which feel good under the fingers. The Gibson and Ibanez are similar sizes and this is the only downside with the Epi Les Paul in that it feels a bit small for me. The winner: a very close run thing, so a tie. This is the hardest one to judge as it comes down to emotional rather than subjective analysis: which has that ‘something’ that marks it out as special? For some this is looks, others feel, for many the name on the headstock but if we did a blind fold review and just played them, which one would have that little extra that marks it out as ‘the one’? Well, all three are keepers but which one would I pick up if they were all on the stand in front of me. The Ibanez, no wait the Gibson, no the Epiphone…..